This traditional, classic design has a deep, comfortable button back and scroll arms. Available with manual or electric actions, the recliner has the option of Dual Motor Lift and Tilt to help raise and lower the chair. 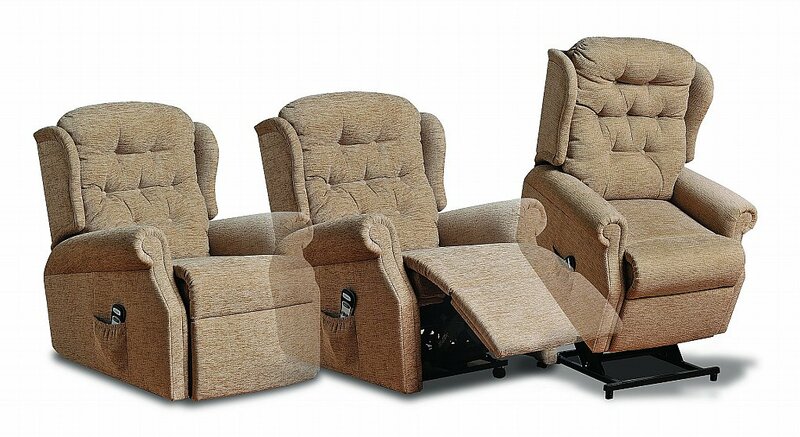 Offering a tailored-to-fit concept with four recliner chair sizes, It has something to suit everyone. This collection includes two and three seater settees in fixed or reclining options to match. Deep button back with padded side wings and chaise footrest. I would like more information about Woburn Rise Recliner Chairs by Celebrity.